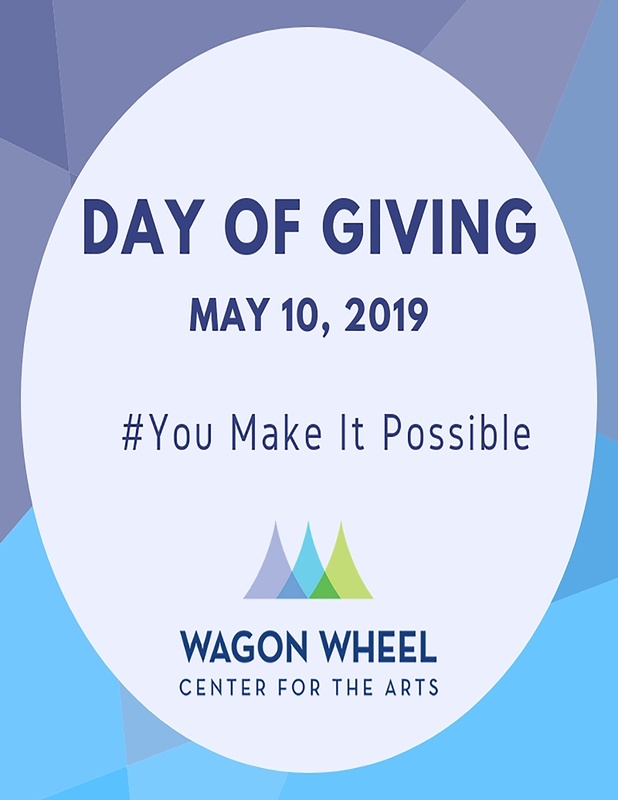 Mark your calendars for Wagon Wheel Center for the Arts second, annual Day of Giving on May 10th! You help change lives in our community through supporting the Wagon Wheel and our programs. This year, you can help make it possible for us to offer more youth acting workshops, hire local and national talent for our summer season, and offer free community programs like Symphony of the Lakes Independence Day concert in the park through your Day of Giving donation. And we have something new this year too! A local business has decided to set a challenge gift! If we meet the goal of 100 donors on Day of Giving, then we will unlock their challenge gift of $1,000! Continue to watch Social Media for updates and more information about #WWCADayofGiving. Don’t forget to return to this page on May 10th to make your donation.